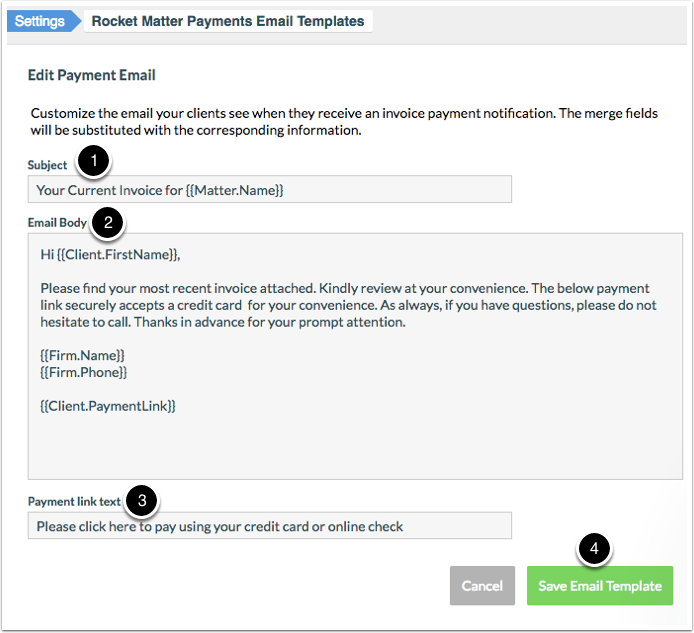 Rocket Matter Knowledge Base LexCharge Integration - Credit/Debit Card ProcessingHow to 'Edit a payment email' template. 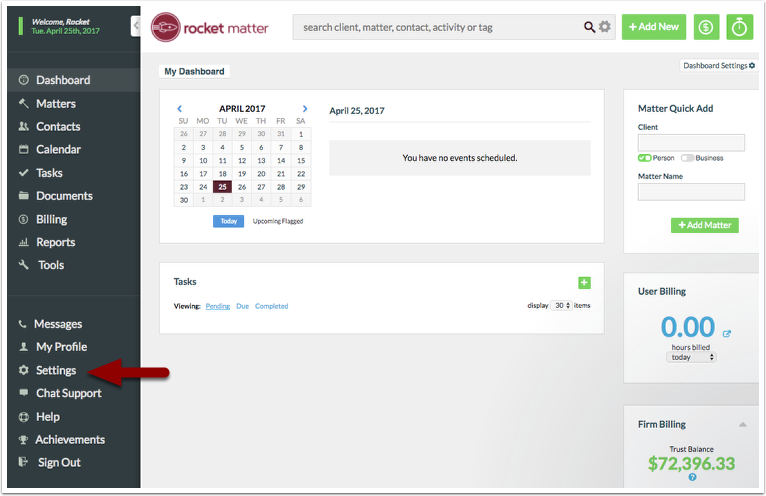 Customize the email your clients see when they receive an invoice payment notification. The merge fields will be substituted with the corresponding information. 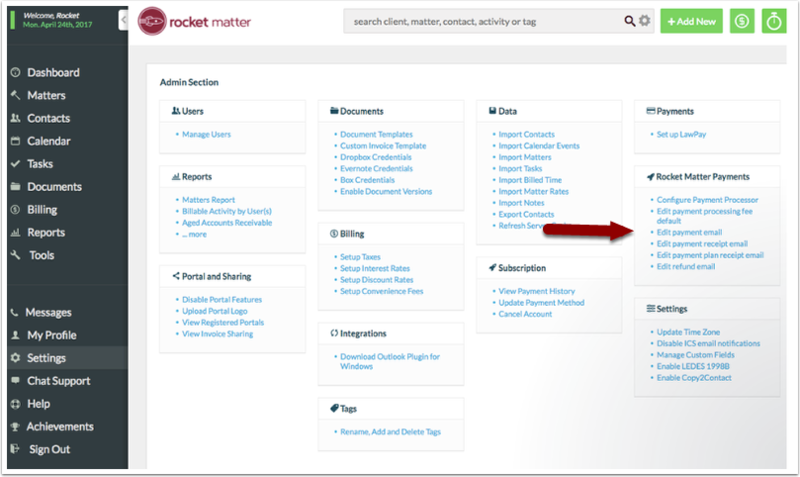 Prev: How to 'Edit payment processing fee default'. Next: How 'Edit a payment receipt email' template.